We construct 3-round proofs and arguments with negligible soundness error satisfying two relaxed notions of zero-knowledge (ZK): weak ZK and witness hiding (WH). 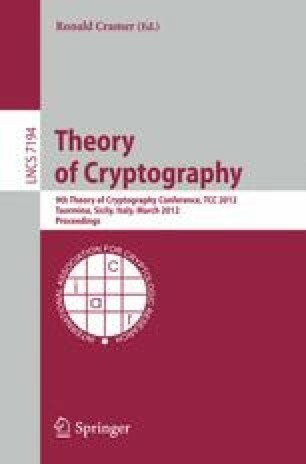 At the heart of our constructions lie new techniques based on point obfuscation with auxiliary input (AIPO). It is known that such protocols cannot be proven secure using black-box reductions (or simulation). Our constructions circumvent these lower bounds, utilizing AIPO (and extensions) as the “non-black-box component” in the security reduction. This research was funded by the Check Point Institute for Information Security, by Marie Curie grant PIRG03-GA-2008-230640, and ISF grant 0603805843.